WELCOME TO ENTOMOLOGICAL SOCIETY OF INDONESIA OFFICIAL WEBSITE. 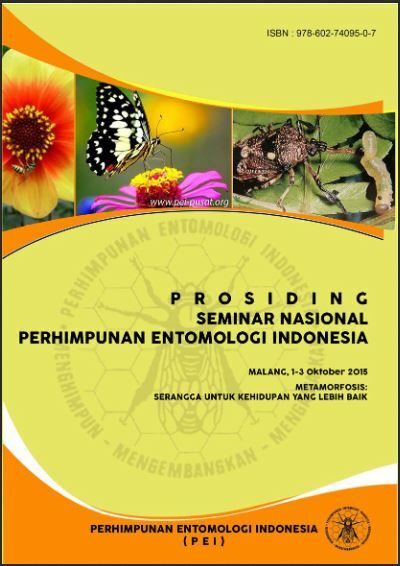 Entomological Society of Indonesia (ESI) has 1094 members who resides across Indonesia, from Sumatra to Papua. The Society was created on 1 October 1970 by 23 attendees of Plant Protection Meeting that was held in Salatiga, Central Java. Although the Society was officially created in 1970, under Dutch rulers, a Society called Nederlandsch-Indische Entomologische Vereninging (NIEV) was created in 1934. This organization mainly consisted of Dutch entomologist who focused their research on tropical entomology. They are the founding fathers of the entomological community in Indonesia.